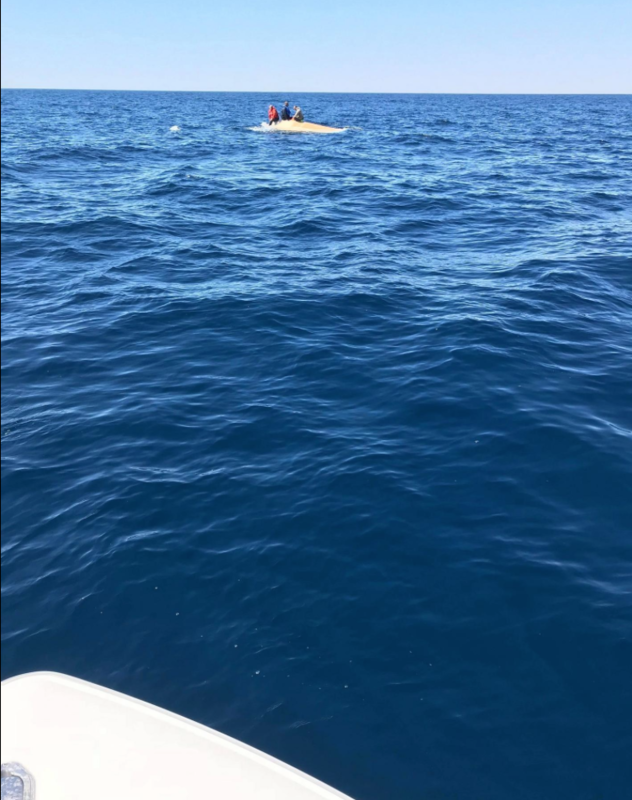 Three men were rescued after their boat capsized about 20 miles off the coast near Destin, FL. All three men were wearing life jackets and were taken back to HarborWalk Marina where they declined medical attention. The capsized boat was retrieved by Sea Tow around 1:17pm.